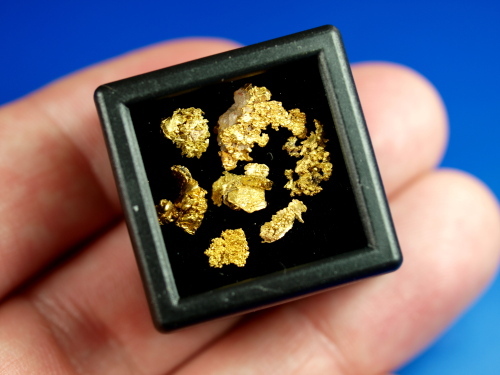 Here is a nice collection of small crystalline gold specimens from California. These have some amazing bright gold crystals, difficult to capture with a photograph. The largest piece has a small bit of quartz. Their combined weight is 2.00 grams.